“Tropical Vibe”: Kansas City Star Taste Tests Bou Lou Beer! 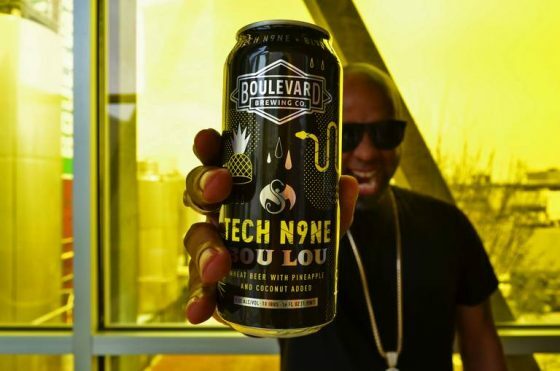 Tech N9ne’s highly-anticipated collaboration with Boulevard Brewing Co., the “Caribou Lou”-inspired beer, “Bou Lou” doesn’t officially hit stores until June 18th, but ahead of the release date (and even Boulevardia! ), The Kansas City Star got their hands on some of the summer friendly beer early for an early taste test, and as expected–and much like the song– it was a hit! You can read the full review here, and, hopefully–if you are lucky enough to grab some yourself next week– you can try it out for yourself!